Congratulations on your new preset bundle! 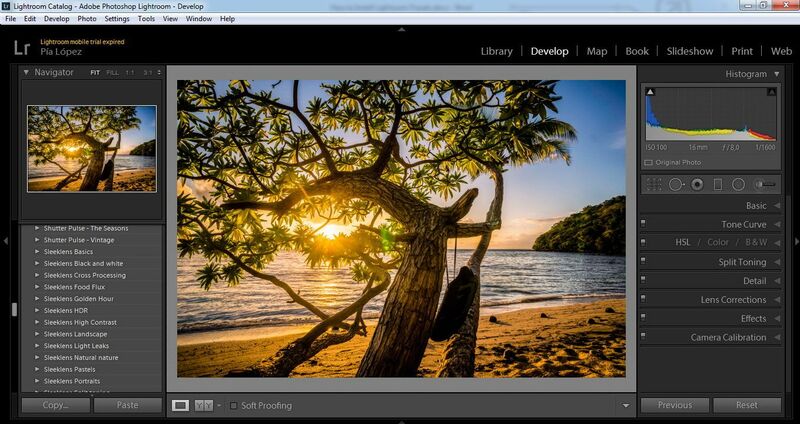 You are taking the first step on becoming a better Lightroom user. Now let us show you how to install your new preset pack. Follow the procedure that matches your operating system. To download our Free Pack of Presets go directly to this product. 1. 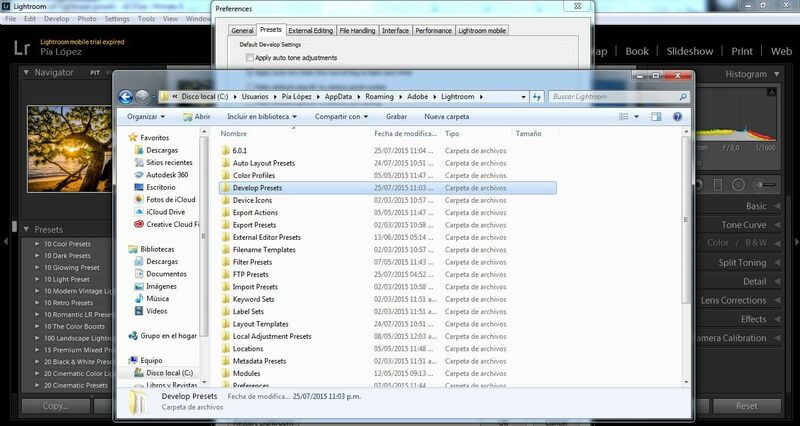 Locate the folder where your presets have been downloaded to (for Windows Vista users and above, it is commonly located in C:\Users\<Username>\Downloads). 2. Extract the downloaded file (it may be zip or rar file, we recommend you to use file extractors such as Winrar). 3. 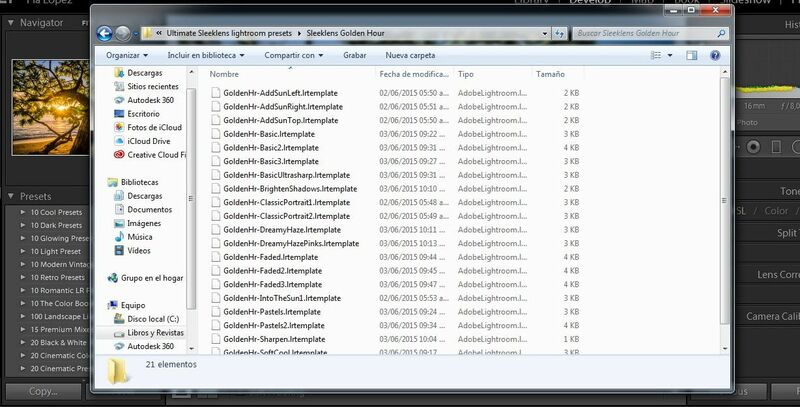 Find the files with the following extension: “.lrtemplate”. These are the files you want to install (ignore MAC_OSX folder). 6. Double click on Lightroom. Then double click on Develop Presets. 7. Paste the Preset files that you want to install. It is strongly advisable to maintain folder structure, meaning you need to create a new folder with the name of the Preset bundle, then copy the files to that folder. That way the data won’t get mixed up if you install several preset packs. 8. 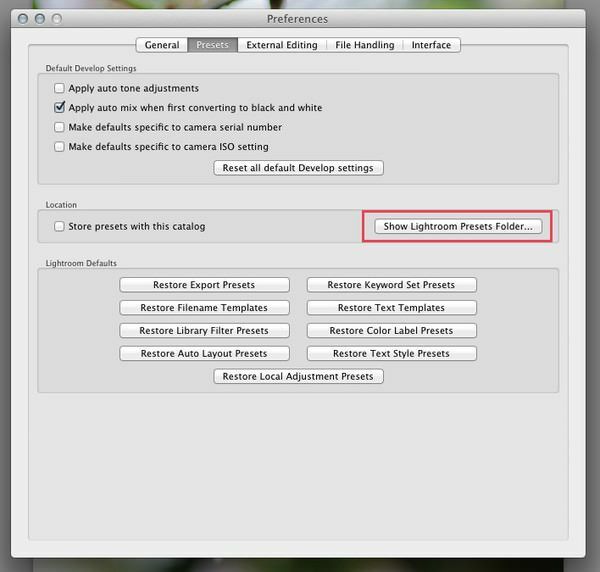 Restart Lightroom in order to make your new Presets work. 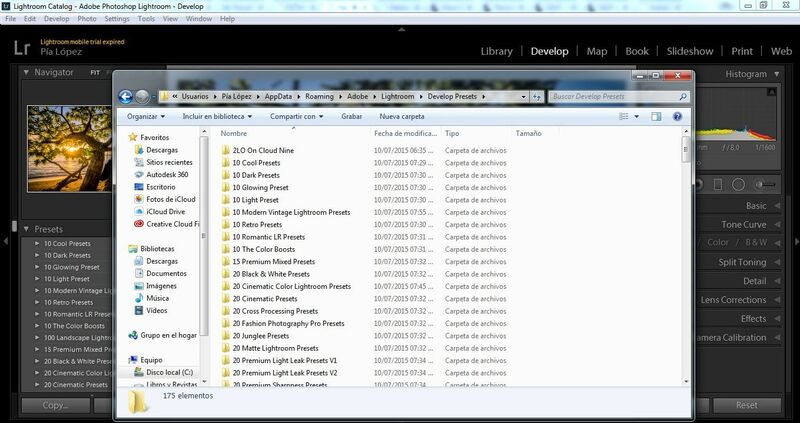 Remember that you can also install the Presets by right-clicking at the Presets panel in Lightroom and selecting the Import option, but the folder structure system is recommended as an easier way to organize your workflow. 1. 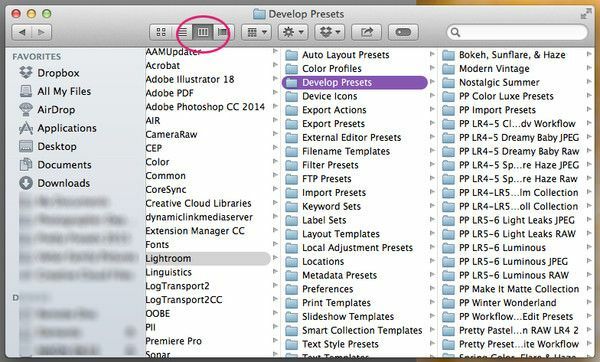 Locate the folder where your browser has downloaded the presets on Finder. 3. Go into the MAC_OSX folder and copy the files from there. 4. 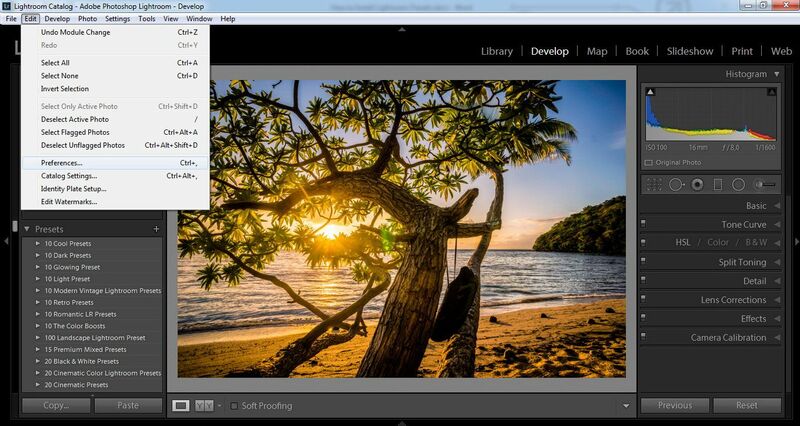 Open Lightroom and go to the Preference Menu. 6.Double click on Lightroom. Then double click on Develop Presets. Sometimes when new Presets don’t work or when you can’t find their location inside Lightroom’s UI, it is usually because a step may have been missed during the installation process. 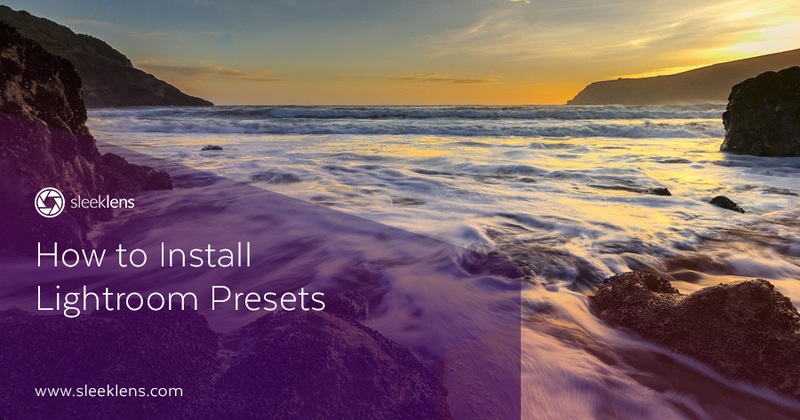 Let’s go through some of the most common issues found when installing Presets. 1. Not extracting the presets: Commonly, new users may simply download the presets and place them inside Lightroom’s folder structure, instead of actually extracting the appropriate files; especially when the file is packed as a .rar, but the user doesn’t have a file extractor that supports .rar files, becoming masked as common RAW images for the inexperienced user. 2. Installing MAC/WINDOWS versions on the opposite operative system. 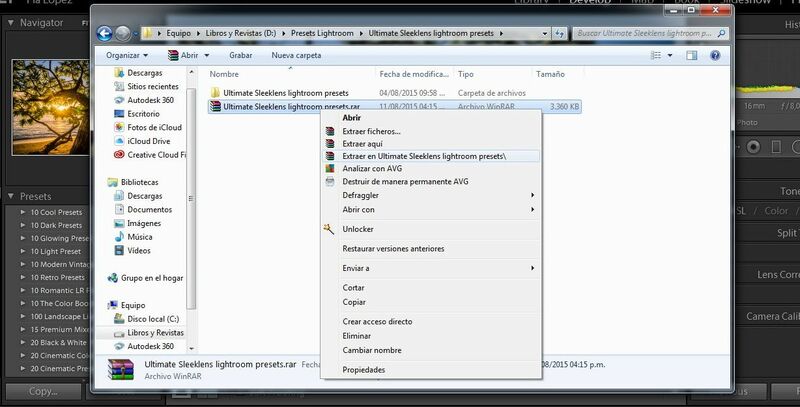 Lightroom will not recognize the Presets files made for Mac when trying to install them in Windows and vice versa. 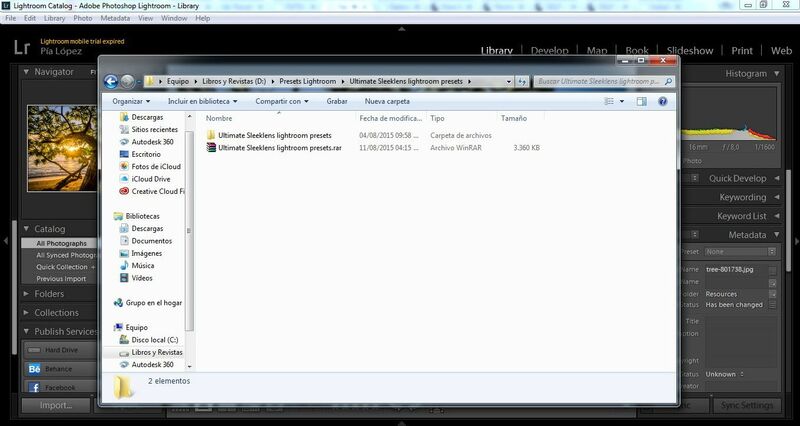 When installing presets on Windows, always use the files contained at the root folder with the extension “*.lrtemplate”. for Mac installations, always go into the MACOSX folder. 3. Encrypted files: Sometimes you can’t use your presets because they may be encrypted, therefore you’re not able to access them. In order to fix this issue all you need to do is right-click on your preset file, then select Properties. Go to Advanced and uncheck the last box about encrypting content for data protection. Now you will be able to use your presets. 4. Not seeing the Preset panel: Go to Preferences in the Edit menu and in the Presets tab uncheck the “Store presets with this catalog” option. That way Presets are always present in the Lightroom installation software and not just part of the catalog. 5. Presets being too old that they don’t apply to Lightroom new tools: Remember that in Lightroom 4 and newer, Adobe made huge updates in regards to tools. 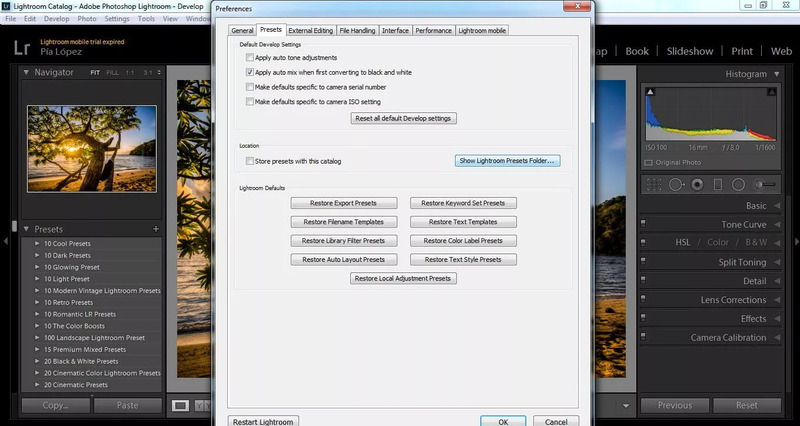 Fill Light is not a slider anymore, and older Presets valid for LR 2-3 won’t work in Lightroom 5-6. Be sure to backup your Preset Library! As you all may know, viruses never ask for an invitation, and often they bother us at the most inconvenient time. Even though it is recommended to work with a different partition on your hard drive for data, Lightroom’s Preset Library is contained in the root folder of the Lightroom installation. This means that in the event that your PC is affected by a virus and the operating system cannot boot, you are likely to lose your complete Preset library. Keep a backup of your preset library on an external memory drive; either a hard drive or even a good pendrive, as the files won’t occupy that much space in regards to MB.